Got a beloved piece in need of some love? 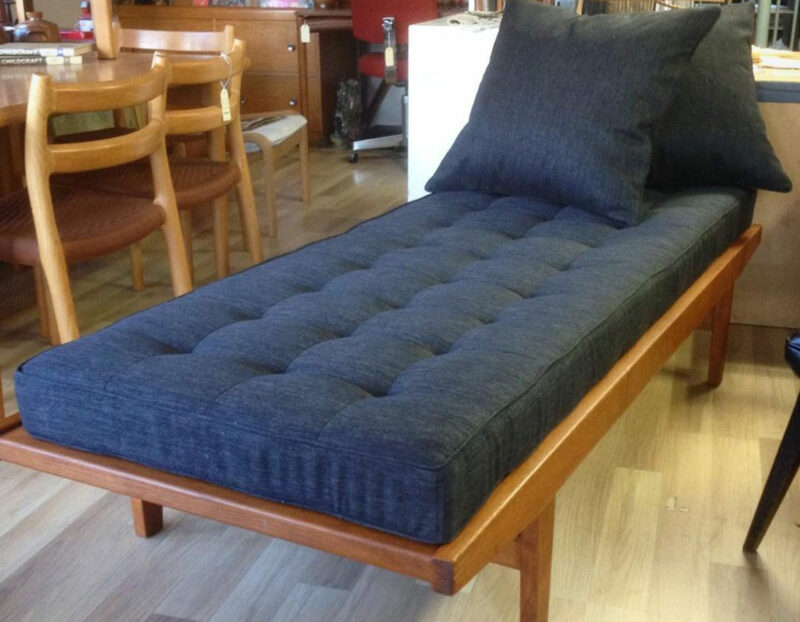 Send us a photo and short note – see our QUOTATIONS page for more info..
We offer a full furniture upholstery and restoration service, specializing in mid 20th Century furniture, but with experience in both earlier and later pieces. Pickup and delivery are not a problem within the Melbourne metro area and Bendigo region. You are also most welcome to visit us at the workshop to discuss what we can do to do justice to your special piece of furniture. We are happy to help with fabric selection, customization ideas and general advice. We work from our Northcote workshop and store, as well as from our second base near Bendigo – we can help you from either part of Victoria, and have weekly pickup and delivery runs to the Bendigo, Daylesford, Castlemaine area, as well as Melbourne’s inner North. For a quote, send us some snaps and a brief idea of what you’re thinking – please email us – and we’ll get back to you asap.